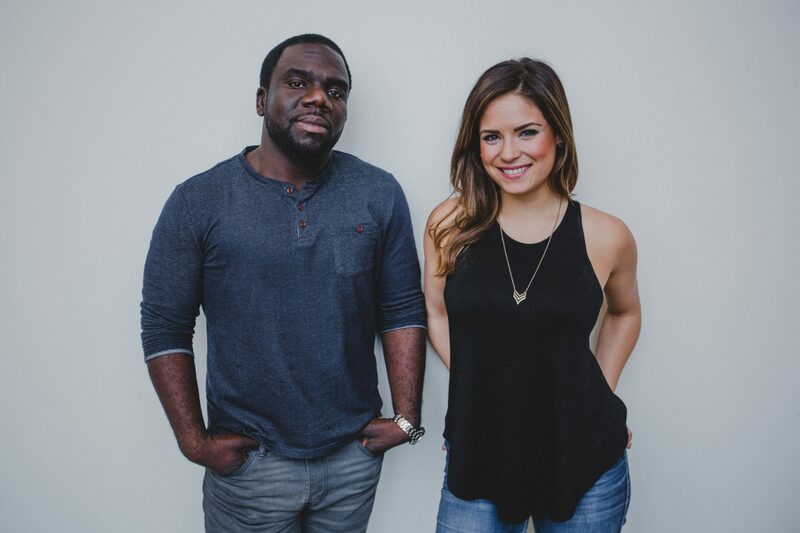 The SteelRiver sound is the musical experience created only by the meeting of Lauren Roy’s soulful vocals and William Mukuna’s funky guitar style. Born in the heart of Toronto, this undeniably exciting project that is constantly evolving, stretching and crashing into the artistic entity it has become. William Mukuna’s effortless and soulful sound builds the foundation for Lauren to send sultry sweeping vocals into the audience with ease, creating a genuinely enjoyable experience for the listener. Landing somewhere in the soul/R&B realm, SteelRiver draws inspiration from the jazz, folk, pop and African worlds, blending the styles to create their own signature sound. No matter the venue, be it a local club, MainStage or reception hall, the duo creates an incredibly dynamic tone, known to entertain and ignite the emotions. Lauren Roy is a full time musician and entrepreneur, who after calling the heart of Toronto home now resides right here in Guelph with her young family. Fronting several diverse musical projects, her dynamic, smooth and soulful vocals compliment and effortlessly crossover a multiple (multitude) of styles. Currently landing somewhere in the soul/R&B realm, Lauren draws inspiration from the jazz, folk and pop worlds, blending the styles to create her own signature sound. In 2014, Lauren released the holiday EP “a SmallTalk Christmas” with musical collaborator – Fraser Holmes. And in the spring of 2015, they proudly unveiled their original debut album “Go!” with their band, GladStoneAve – complete with a successful Southwestern Ontario Tour. Lauren makes up one half of SteelRiver Duo, An undeniably exciting project that is constantly evolving, stretching and crashing into the artistic entity it has become. Musical partner, William Mukuna’s effortless and soulful sound builds the foundation for Lauren to send sultry sweeping vocals into the audience with ease, creating a genuinely enjoyable experience for the listener. Lauren’s other band – Southbound Soul – also demands much of her time, energy and passion. A fixture at some of Toronto’s most happening bars, this project keeps guests having the time of their lives on the dance floor at weddings and corporate events. Noted as the antithesis of the “cheesy wedding band”, Southbound Soul prides itself on its musical prowess built from the depth of talent that comprises it. After Spending years dabbling in nearly every artistic avenue possible, including touring choirs, commercials, feature film and film production — life always pointed back to her #1 love – music. Lauren has since performed on stages across North America and Europe, recently including LA, Calgary, Barcelona, Florence and Paris. Coming from humble roots in Paris, Ontario, Lauren now resides in Guelph, runs a successful entertainment company and averages well over 200 shows per year – including 75 weddings in the last two calendar years alone with nothing below a 5+ Star Review. Lauren constantly thirsts for growth as a musician, and is committed to continually exceeding the professionalism and product she provides with her business. William Mukuna is a guitarist, composer and educator based in Stoney Creek, ON. From an early age, he was exposed to a wide range of musical styles which stirred an interest for music. After graduating from the Jazz studies program at Mohawk college, William continued to explore sounds and rhythms fusing elements of world music, afro-beat,Latin rhythms, gospel, hip hop with jazz improvisations. In 2010, William was featured on Jazz FM 91.1 on the jazzology program. The guitarist is also in demand as a performer, musical director, clinician and educator. He regularly performs as a sideman with other artists from the GTA and international touring groups. He has performed at the Brantford Jazz Festival, Toronto’s Afrofest, festivals in Calgary, in Montreal, Nuit d’Afrique in Québec, in Vancouver and Hot Springs, BC.